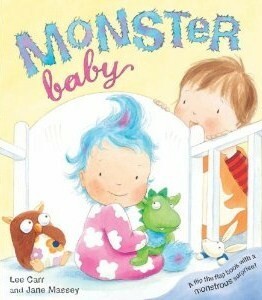 ITEM: A signed copy of MONSTER BABY, Lee Carr’s debut picture book due out 7th April 2011. BIO: Lee Carr was born and raised in America’s midwest and has been living in Europe for many years. She graduated from Vanderbilt University with a Bachelor of Arts in Creative Writing before acquiring a variety of professional experiences including creating marketing campaigns (web, print and radio), web design work, working in bookshops and a lot of editorial freelance work. 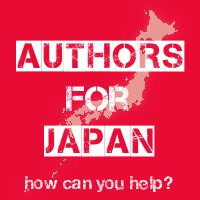 Her freelance work includes proofreading, sub-editing, copywriting, acting as production editor, acting as commissioning editor, and writing articles and book reviews for various publications, from Ink to Elle. 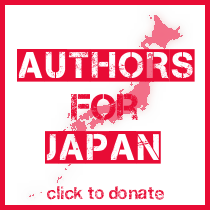 Lee is represented by the Transatlantic Literary Agency and has been a member of the SCBWI (Society of Children’s Book Writers and Illustrators) for several years. Through the SCBWI she has organized and attended professional events with well-known artists and illustrators to complement her growth as a writer. She truly enjoys creating stories for children and her first picture book, Monster Baby, will be published by Random House in April 2011.